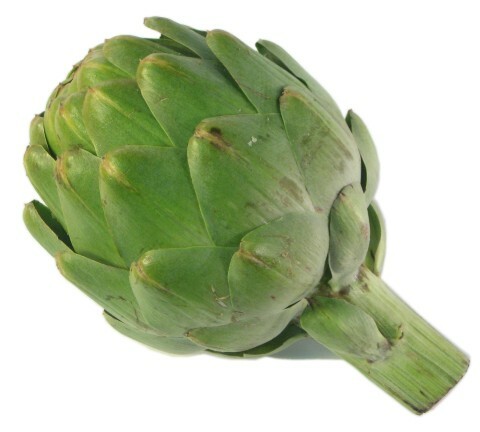 General Information: Artichokes are actually an edible thistle. If allowed to flower, they have blossoms that measure up to seven inches in diameter and are a violet-blue color. Artichokes are a close relative of the cardoon. This edible thistle was prized by ancient Romans as food of the nobility. The word "artichoke" is shared by three unrelated plants: the globe artichoke, jerusalem artichoke and chinese (or Japanese) artichoke. The globe artichoke (Cynara scolymus) is considered the true artichoke, and today, there are over 50 varieties of it grown around the world.